ITEM! There will be no more SuperFogeys strips for a while. ITEM! 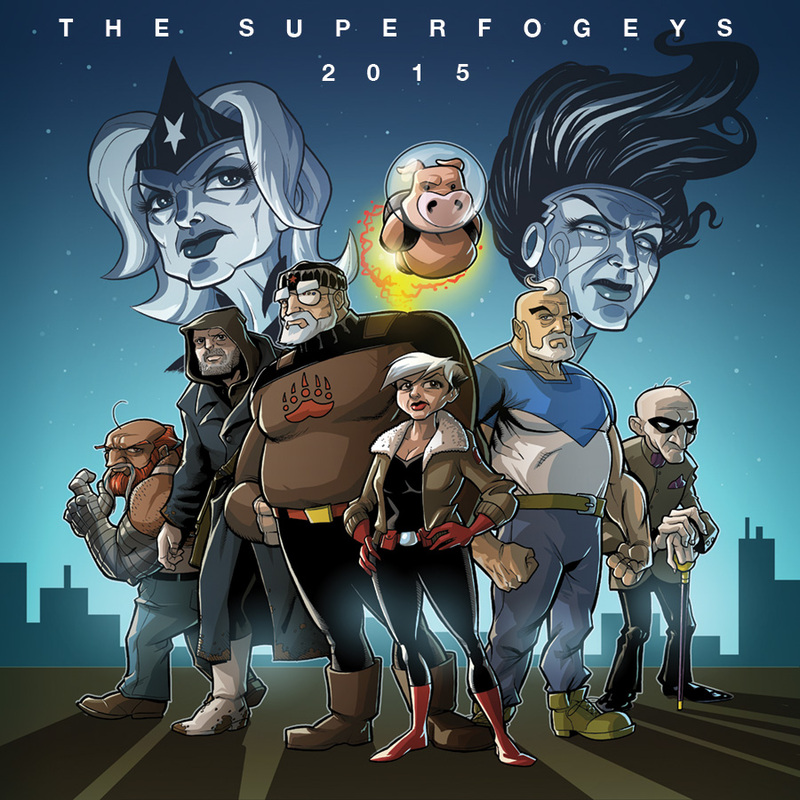 SuperFogeys will return at some point in 2015. ITEM! SuperFogeys is ending. Not right away, not even next year, but soon. I’m plotting out the final chapters right now and soon I will be able to not only tell Marc how this story ends, but when and exactly how many chapters are left. Who’s ready for the endgame? ITEM! 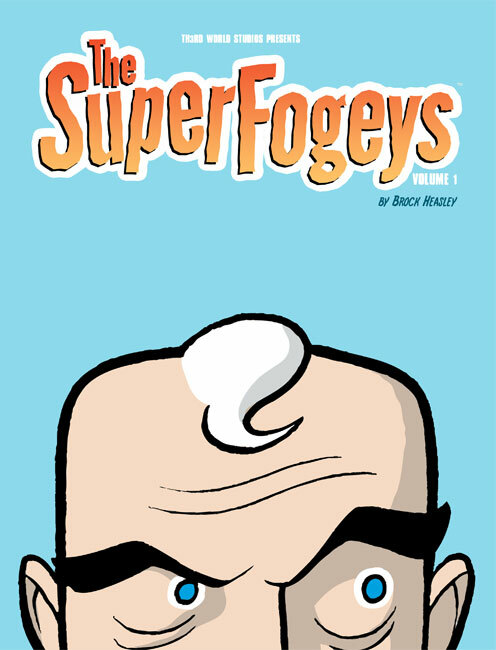 SuperFogeys will be launching on Patreon before the next chapter starts. Patreon is a crowdfunding site that rewards creators of online content with micro payments whenever they post something. This does NOT mean SuperFogeys is going behind a pay wall. All it means is that for those of you who would like to support our efforts and want an easy way to do so, now you’ll be able to. It’s strictly voluntary. ITEM! The 2015 teaser you see above is actually the cover to a little ashcan comic Marc and Th3rd World Studios will be selling at a low cost at conventions next year. Marc and I collaborated on the piece, with him doing pencils and colors, while I did the inks. Sharp eyes will notice Captain Spectacular looks a bit different than we’re used to. ITEM! We love you guys. You make SuperFogeys worth it and we hope you’ll come back to us when we’re ready to show it off. ITEM! If you came here looking for the latest chapter of SuperFogeys so you can catch back up, you can read all of Chapter 19 – The Man Who Sold the World right now, starting right here. ITEM! See you again soon! Christmas came early, it seems. It’ll be torture waiting until next year for more SF, but good things come to those who wait. I’ll also admit to being bummed about the series ending, but I have faith that you guys will end it with a bang. 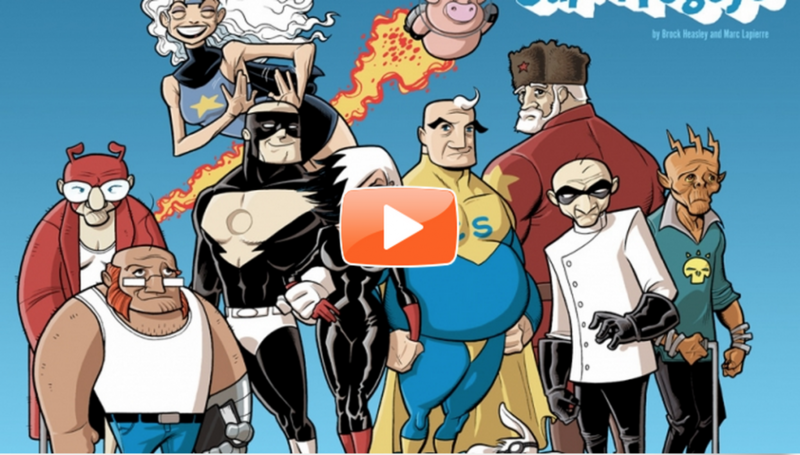 Count me as one of the first in line when SF’s Patreon gets off the ground. I’ve always intended the series to end–and have had the ending in mind since almost the beginning–but it’s a bittersweet thing to actually be this close now. We will appreciate your future support. Here we see the Seven Super Fogeys. Looks like someone is missing. Come on, he’s too stubborn to die! Huh. I can’t believe it. The naga wasn’t lying. I confess to having no idea what any of that means. Bruce, I can’t tell you how sorry I am for how the Kickstarter has turned out. I still hold out hope that it will be resolved properly. Also, we just submitted the next two issues of SF to Comixology last week and we should see those up very, very soon now. I’ll be sure and do a post about it when it happens! Tears. Bittersweet is right. I just don’t want the ride to end! As they say, all good things must come to an end. At least this time, the end isn’t coming until sometime after next year! I’m curious though, will you guys work on another comics-project after you end this one? Great question. Marc and I haven’t discussed anything of that nature, and I doubt we will for a real long time. SuperFogeys is not coming to such a quick close that we even have to consider what’s next right now. The end is merely in sight. All that said, I’d certainly love to work with Marc again after this. 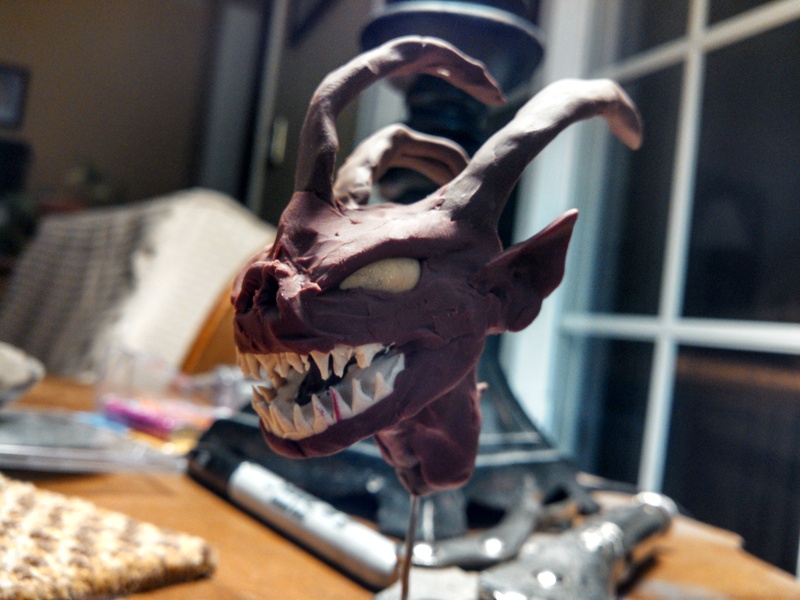 We have a pretty easygoing working relationship at this point and he’s an incredible artist. I know how rare all that is. To be honest, I read a lot of webcomics a chapter at a time, so the change to your update schedule I’m afraid to say that I’ll probably forget about Super-Fogies for a while, but then I’ll remember and probably read two chapters in one sitting or something. I have to say, it is one of my favourite webcomics, just because the story manages to be dark and interesting but not depressing. Speaking of not checking webcomics for months, I’d better go and read Genocide Man. We know something like this will happen–people are bound to forget about us–but hopefully we can make a big enough splash upon our return that people will get excited again. There’s GREAT stuff coming up. You have a great strip here, guys. I came into it recently, but it is one of my favorite things- as funny gag strip that slowly evolved to reveal itself to be a far deeper and more interesting story than it set out to be, surprising readers and creators alike. And you are doing it very well. I’m sad to see you go on hiatus. I hope that your new publishing schedule works for you, although honestly, given your current problems and such, I’d strongly suggest you go in the other direction. Shotgun Shuffle was ready to fold, announced it, took the time to set up a Patron and now his job is doing his strip. It is worth looking into. Good luck whatever you decide. But the level of support of your fans might just surprise you if you let them. Thank you for the kind words, Sabrina! If Patreon could actually pay as much as you say… yeah, that would be incredible. That would certainly solve a lot of problems. You’re giving me some motivation here. As soon as I get the outline for the future figured out and the next scripts going, that’s top priority. I can’t wait to see what happens. Seconding what Sabrina Pandora said. Get thee to Patreon. I hate the change to the update schedule, but that’s what RSS is for, innit? Besides, I have yet to see a webcomic that updates regularly and quickly, and which does not suffer problems in either quality (of art & writing) or burnout of the writers/artists. Heck, even old salts like “Sluggy Freelance” have this problem. Mostly, I guess I’m saying, good luck, hopeful thoughts and prayers are being said, and Merry Christmas! Now get back to work, or tomorrow it’s one piece of coal for the fire, and no more! Dang, that last bit was supposed to include faux tags indicating Scrooge-iness! Sad to see SF stop for a while, but it’s life. Don’t know what lead you two up to this, but it happened to me too for whatever reasons. Mine were … I just can’t keep it up like that anymore. I’m just too exhausted and too stressed and have too much of real life and paying jobs to take care of. It’s sad, but I try not to let it get to me. 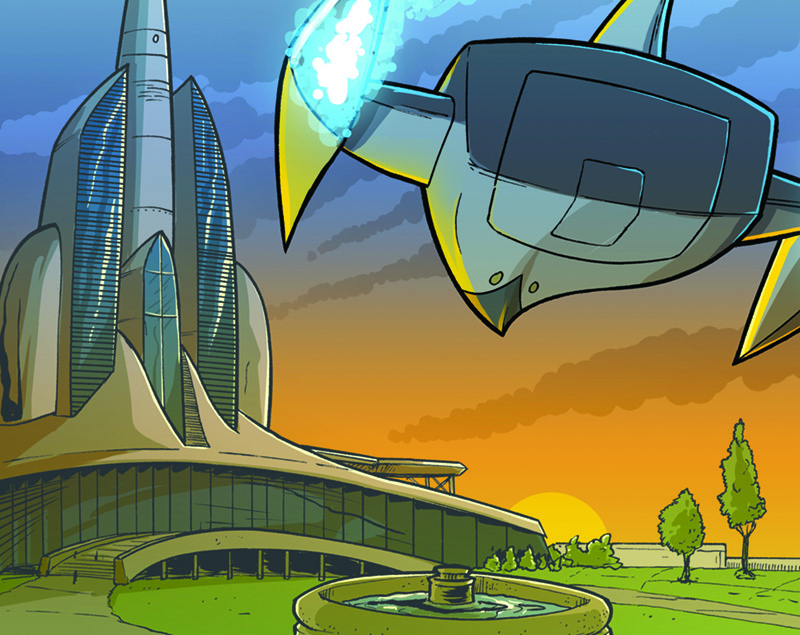 My webcomic is on stop right now while I finish the next chapter or book too. Sadly, mine was designed to NEVER end, now I want it to. But unfinished? Meh… It is what it is. I need to move on to Christian comics too. I didn’t imagine that I’d only get this far on SuperMilo in 5 years. It’s taking far too long and is becoming less enjoyable. Hope it’s not that way for you, Brock. Or you, Marc. I’m just impatient, I think, and waiting a week or three – because real life is busy – to do the next comic strip? That KILLS me. And getting in trouble for neglecting real life because I’m busy writing and drawing? Yeah, that’s getting REAL old. Anyway, as you can see, it depresses me. But I know it won’t be like this forever or all the time. I had a good run. Will again one day. Anyway, just wanted you to know… If Th3rd World or you collects the entire SF in books or a book, I WILL buy that book. It doesn’t even need extras. And if SFO is collected… Count them as bought by me. Adios, my friends. Until next time. I know you guys are working on it, but could we kinda get a hint to as the completion or near completion? Just posted a blog to answer that very question! Including a return date!